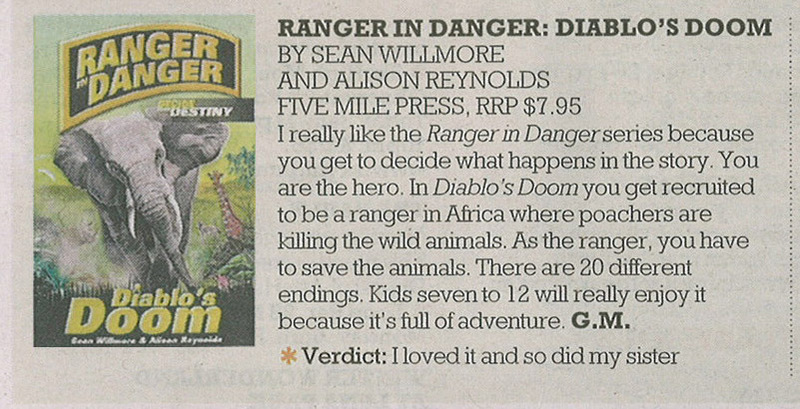 Sean and I had a fantastic time presenting Ranger in Danger at the Melbourne Writers Festival, but it ended up being hilarious. Sean was going to burst into venue after all kids settled and I was to say to the kids that Sean said he would be there and I didn’t know where he was, and the last I heard was that he was seeing some elephants. The children arrive and I introduce myself, and look at watch etc and say Sean should be here soon. But we hear an elephant trumpeting faintly somewhere in the distance. So I get all the 75 kids to yell ‘Sean’. Very soft elephant noise, but no Sean. I ask kids what facts they know about elephants. They know lots, and I even learn quite a few new ones. Every so often we hear a soft elephant trumpet. I ask everyone to yell ‘Sean’ again. No Sean. Just a wistful sounding elephant noise. Then suddenly he rushed into room with a great bang and asked for a strong volunteer to help him hold door shut against the elephant. He had got a passerby to bang around outside. And then we went into the dvd of when Sean was really chased by an angry elephant. So Sean and I really need to work on our cues! He was waiting for one of the volunteers to summon him in, but don’t think anyone was sure who was meant to do it. The rest of the talk was fun. Lots of lovely bright kids. 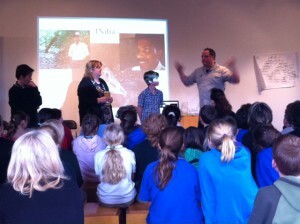 A huge thank you to the Melbourne Writers Festival! ‎Sean Willmore and I are looking fowarding to bringing Ranger in Danger to the MWF on the 31st of AugustArtPlay12:30pm – 01:15pmHope we see some of you there. 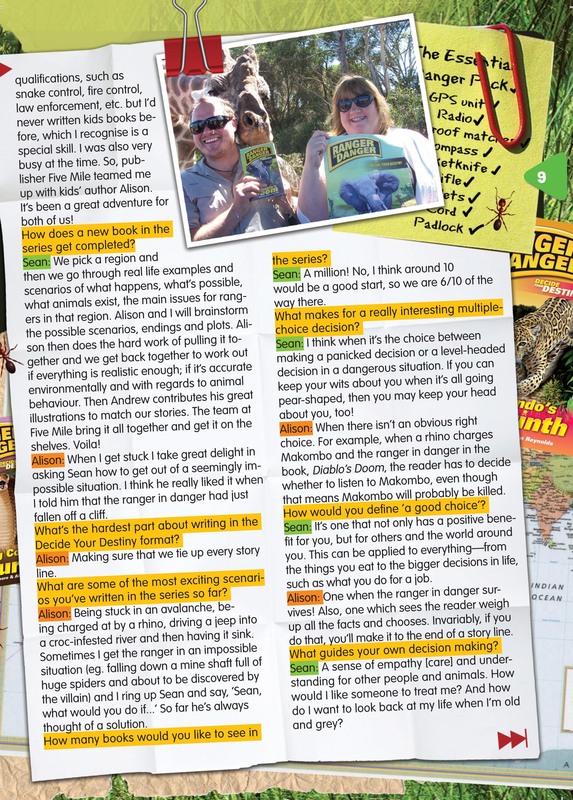 Sean and I were delighted to be interviewed in KIDZONE! 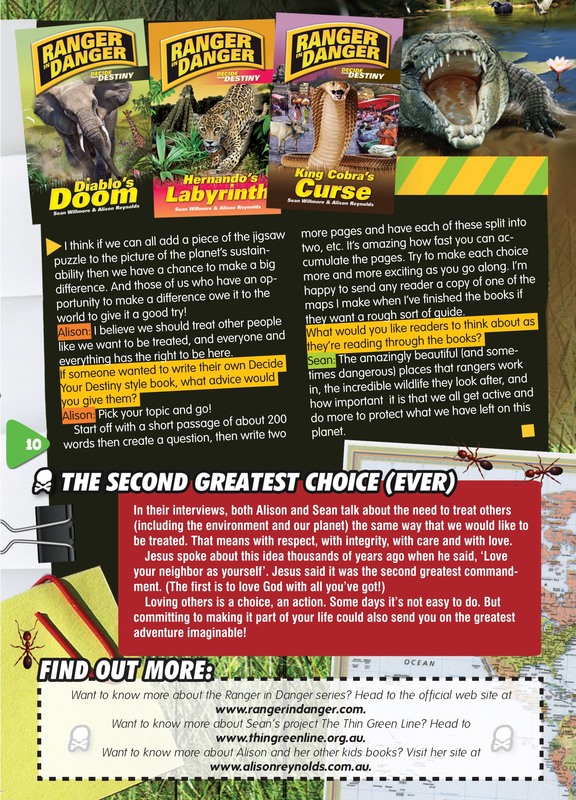 The questions really made me think about what the ranger in danger series is really about. Thanks, Drew Taylor, for being such a great interviewer! 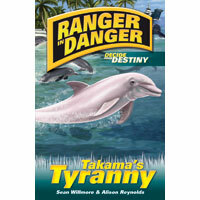 Ranger in Danger:Takama’s Tyranny Out Now! You’re off to the Pacific islands. You can’t wait. Gigantic whales, man-eating sharks and mysterious shipwrecks. Someone’s after the supersmart dolphin, Flip, with its huge dorsal fin. It’s up to you to save it from captivity and the evil clutches of Takama. I was really pleased to get more good reviews. 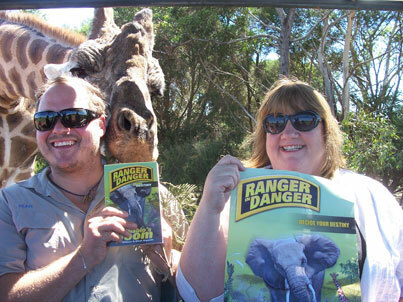 Ranger in Danger was part of the Green Books Campaign 2010! 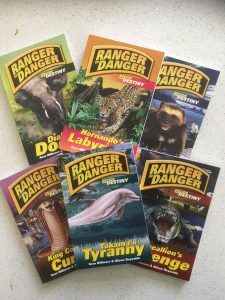 Five of the Ranger in Danger books were selected. 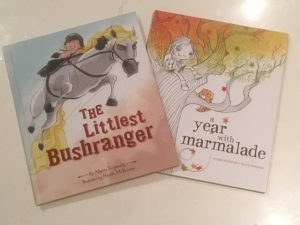 This blog is full of book reviews and great suggestions to read. Jennifer Howard is a Washington based writer. Lots of interesting bookish insights on her blog. This is a fun review. 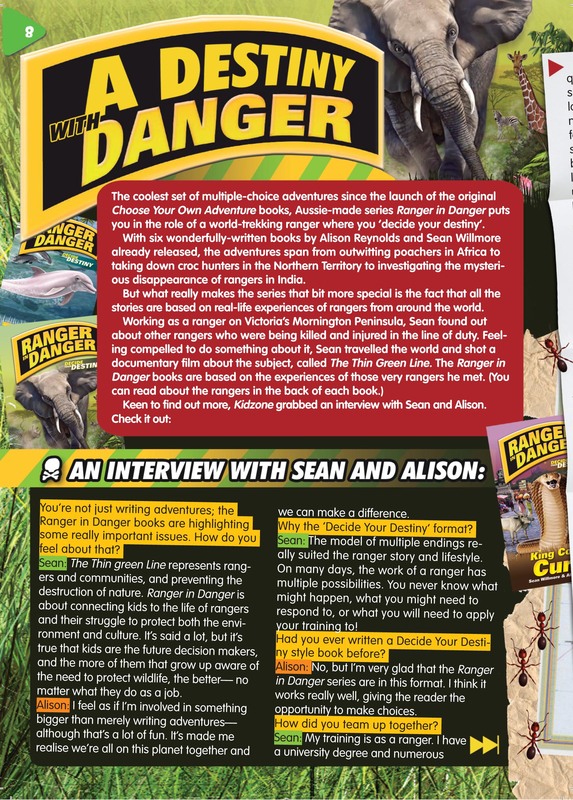 Possible ranger in danger activities are included! 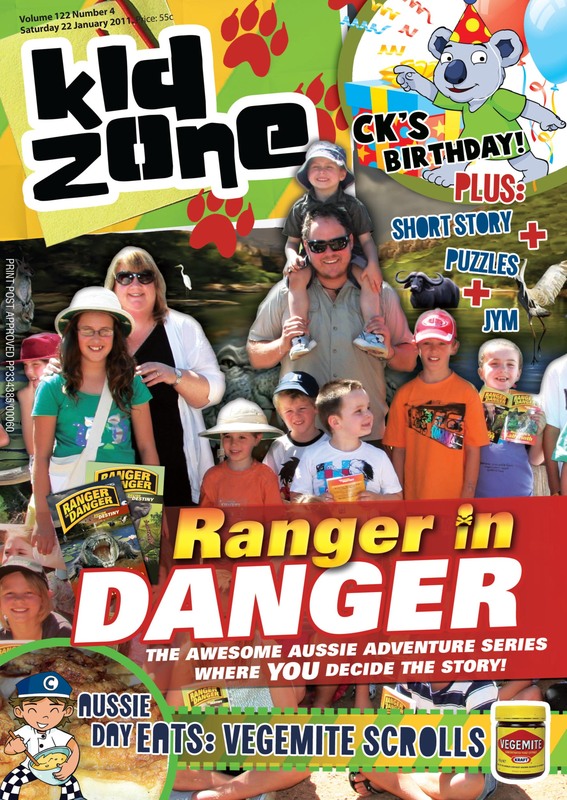 The Ranger in Danger series had a launch at the Taronga Zoo. who all knew an amazing amount about animals. We had a close encounter with an iguana and a python.Check out how long the python is. Sean fancies one for a necklace. the same, but probably much easier. 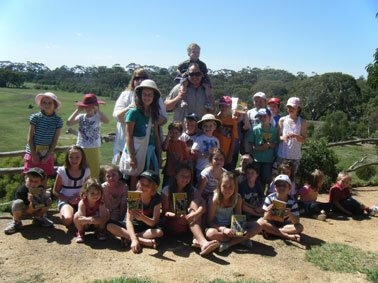 A huge thanks to everyone involved, especially the Taronga Foundation and the Taronga zoo. 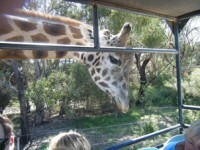 After the launch I wandered around the zoo with my friend Fiona, and we had a fabulous time. that sped over the top of the zoo and we had a great view of the elephants, including a cute little one. If you get the chance, go to the Taronga Zoo. 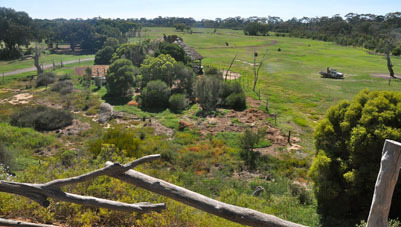 The zoo launch at Werribee free-range zoo was super fun! We had a beautiful day, and had the actual launch in a sort of huge hut, which looked over paddocks of free roaming rhinos, zebras and giraffes. I’ve never had the opportunity before to be so close to wild animals. 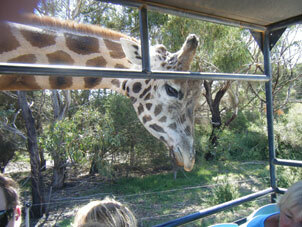 I had a very close encounter with a giraffe, but Ranger Sean, my co-author, had an even closer encounter. The giraffe seemed to like the taste of his hair! The rhinos were huge and apparently very intelligent. You would definitely want to keep on their good side! Whenever you get the chance to visit a zoo, take it!